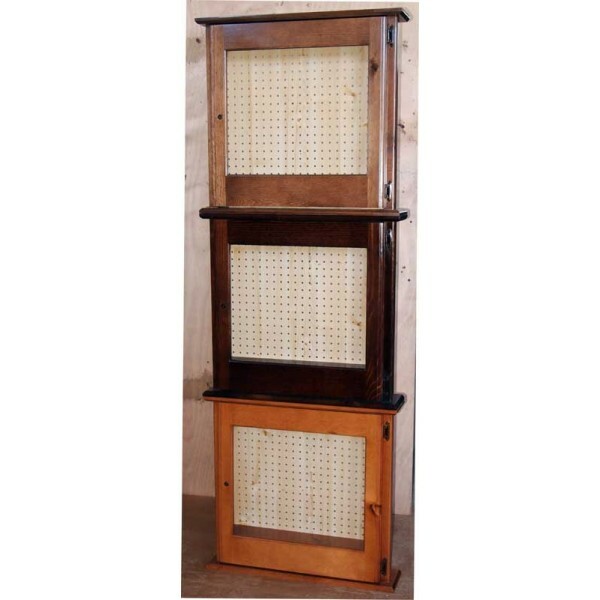 We can install a non-pegboard plywood back stained to match, order #620np. 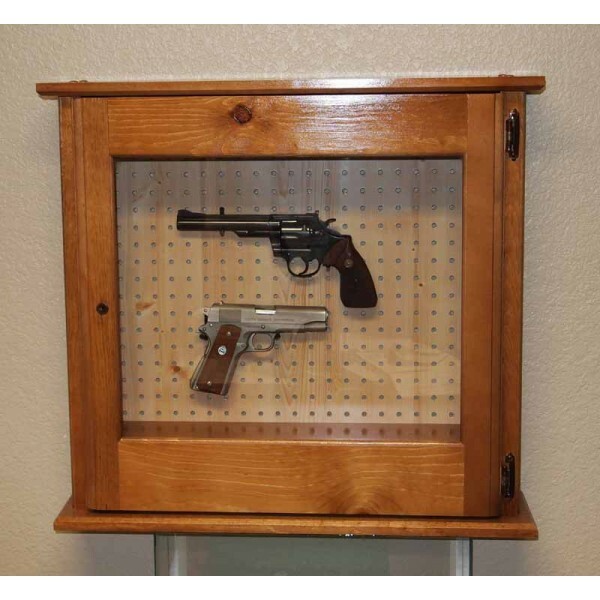 This allows a customer to drill and place their firearms to taste. 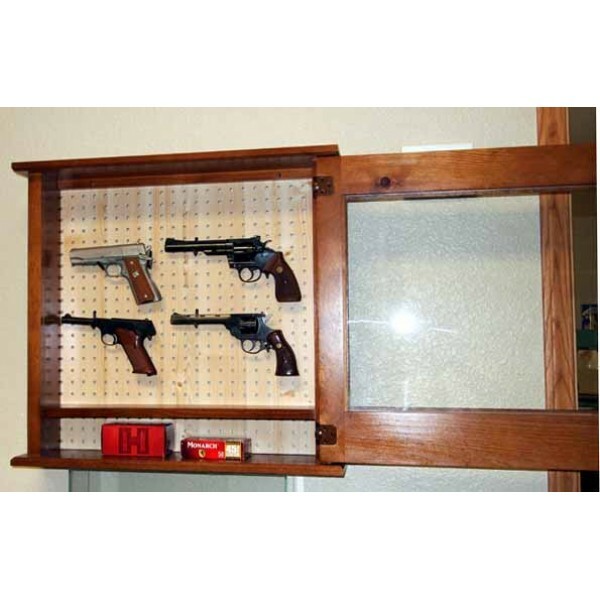 Additionally we can cover the pegboard in felt for $30.00. Please call with questions.